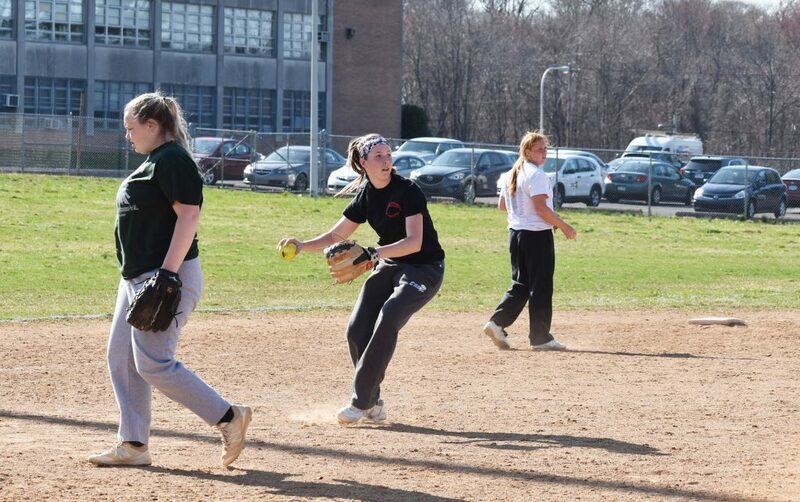 There are sports that Northeast Philadelphia dominates, and softball is one of those. 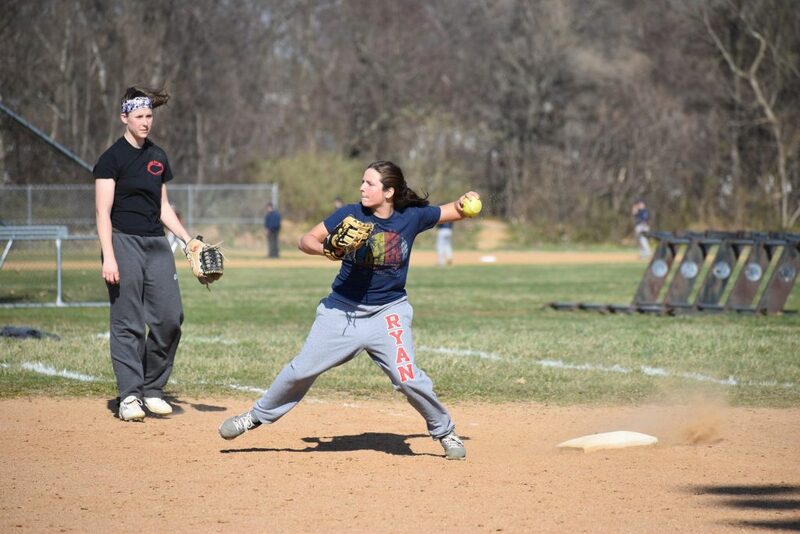 In the Catholic League, Archbishop Ryan has built a dynasty in softball, winning four of the last five championships. And while Central won the Public League championship last year, every year the final four in softball seems to include at least three schools from Northeast Philadelphia. This year, the expectations are as high as ever. Nazareth Academy expects to contend for the Catholic Academies League and more. In the Catholic League, Ryan, St. Hubert and Little Flower have high hopes. And in the Public League, the usual teams should be in the hunt until late May. Here is a look at some of the local teams that compete in softball. This is the year the Pandas have been waiting for. Last year, the team compiled a 10-8 record in the tough division, and was competitive in just about every game. This year, most of that roster returns to the field. Leading the way will be four-year starter Cait Ferry, who starts at third base. The rest of the infield includes first baseman Natalie Minitti, shortstop Mackenzie Tobler and second baseman Megan Dignam. Sophomore Timoney Lamplugh will start at shortstop, and Devyn Dydak will start at pitcher. With a strong senior class, the Pandas have high hopes. “(We) have seven seniors unselfishly leading and guiding the team this year,” said Nazareth coach Danielle Vittitow. “Only losing one senior last year means that the starting lineup has been just about untouched. We have been working on improving our defense and communication in the field for most of the preseason, and it is paying off. We have several very hot bats that are continuing on from last year producing runs for us early in the season. After seeing their three-year run as Catholic League champs come to an end in 2017, the Ragdolls got back to the top of the mountain and ended up winning a game in the state tournament. They did see some quality players graduate, but last year’s squad was made up of good veterans and talented underclassmen, which means the team should be ready to defend its crown this year. Leading the way will be an outfield that consists of Victoria Slook, Erin Woltemate and Lauren Hagy. The infield includes Meghan Palmer, Meghan Kidd, Ava Brakoniecki, Sarah Vargas, Haleigh Cattallo and Caitlyn Elliott. And returning to the mound will be talented sophomore Dana Bell. Expectations remain high at Ryan. This year’s team should be strong on the mound and in the field. The Sentinels enjoyed a strong season last year, finishing 9-9 while competing in the always-tough Catholic League. This year could be even better for Little Flower, which returns a lot of last year’s top players. The Sentinels are set in the infield with Courtney Sherwood returning at shortstop and Makenzie Paxson back at second base. Both were All-Catholic a season ago. Other key players who return are seniors Allison Ross and Haley Waring, and juniors Ginny Britto, Caitlyn Clarke and Emerson McCabel. The Sentinels should score their share of runs, and although they are still a young group, they have experience to compete in the Catholic League. “Our lineup has a lot of pop this year,” said Little Flower coach Mark Fusetti. “If we play solid defense, we will be competitive in every game with a chance to surprise a lot of people. The Bambies were among the top teams in the league a season ago. They fell to Wood in the quarterfinals, but then went on to win the District 12 Class 6A championship, which put them in the state playoffs. This year, the Bambies will once again be led by pitcher Lindsey Davies, who will also see time at first base. Jordan Frye, a third baseman, will help out with pitching duties. A third senior, Erin Hogan, will contribute at shortstop. Emily Murphy, a sophomore, will also see time on the mound and at first base. The outfield will include Amber Dalton and Riley Gorman. Davies has been good throughout her career and she will have a good supporting cast around her. Last year was a tough one for the Railsplitters, who won just two games all season. Don’t expect that to happen again this year. Yes, the Railspitters are young and inexperienced, returning only two starters from last year. But those two players are bonafide talents who would start on any team in the city or suburbs. D’Agostino, the team’s only senior, will be the key to the team’s success. Calm and composed on the mound, D’Agostino isn’t afraid to go for the strikeout, no matter what the count. Of course, she will need a little help in the field. Sophomore Aracely Acevedo returns to play shortstop. Acevedo is a versatile athlete who also made the varsity basketball team as a freshman. In addition to her fielding prowess at shortstop, Acevedo has a knack for getting on base, whether by hit or walk. Acevedo’s experience as a young varsity athlete will likely be useful to the eight freshmen on this year’s softball squad. The Warriors have been the top team in the Public League over the past decade, but last year was a disappointing one. Franklin Towne finished 11-1, but didn’t make the championship game. Making the semifinals is a great year for most schools, but the Warriors always want more. This year, they are looking to get back to the top of the mountain. Leading the way will be pitcher Amanda Stapf, who will play second base when she’s not on the mound. Jules Carer will also chip in at pitcher. The infield will include first baseman Ja’ana Bishop and Emily Gordon at third base, with Linda Jackson setting up behind the plate. The Warriors might not be the champs anymore, but there’s little reason to think they can’t get back there next month. Hannah McIllmurray will be the leader of this year’s team. She returns at pitcher and has been tough to hit off of thus far. She’ll throw to Nadia Gonzalez, who started last year at catcher. Other returnees include third baseman Arianna Quinoa and shortstop Tamara Jenkins. The leader of this year’s squad will be first baseman Jenna Misztuk, who will be starting for a third year. Northeast will be young, but expectations are increased as the team matures. The Chargers finished a game away from winning the Public League championship last year, and that was good enough for the team to earn their fifth state tournament bid in the past six years. The bad news is the team did lose quite a bit of firepower from last year’s team, including an All-Public pitcher, shortstop, third baseman and catcher. Those key positions will need newcomers to step up, but the good news is that the Chargers return every other player who helped the team go 11-1 in Public League play last year. This year’s team will be led by seniors Gia Monillas, Taylor Teal, Amy Alexander, Cloe Burns, Sarah Walker and Taylor Wexler. The juniors on the team include Tara Meade, Kayla Rockey and MacKenzie Steward. Sophomores who will contribute are Bianca Pagan, Tristen Zink and Mollie Carolan, and rounding out the roster are freshmen Nicole Meade, Gina Olivieri, Olivia Rossi, Emma Taglaiavia, Camryn Yaletsko and Jordan Yaletsko. 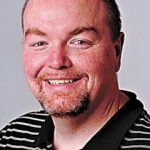 There will be growing pains as the team learns to jell with the new players, but there are plenty of reasons to expect another strong season.